Cruse Bereavement Care Cymru in partnership with Alzheimer’s Society Cymru, has launched a new service that supports people affected by dementia. Cruse will deliver the Bereaved by Dementia project which focuses on addressing the bereavement needs of people with dementia who have lost a loved one (or carer), and people ‘bereaved’ by someone with dementia. The service was launched today at the Senedd by Lynne Neagle AM, Chair of the Cross-Party Group on Dementia and is funded by Welsh Government’s Sustainable Social Services Third Sector Grant 2016-2019. Working in collaboration, Cruse Cymru and Alzheimer’s Society Cymru have developed a training module which increases awareness of staff supporting a person with dementia following a bereavement, and their family member’s or carer. The training has already been delivered to over 250 people in cross-sector settings including care homes (one third of people living with dementia live in a care home), hospices and hospitals and social care settings. To date and ahead of schedule, the bereaved by dementia project has made it possible for Cruse bereavement Care Cymru to recruit and train 126 new volunteers to support bereaved people across Wales with dementia. 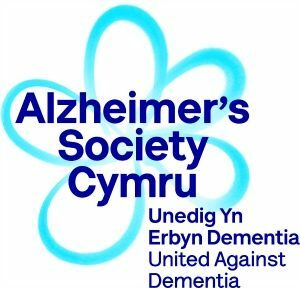 Sue Phelps, Country Director of Alzheimer’s Society Cymru added; “People with dementia, and those close to them, can experience bereavement at different stages from diagnosis through to a person’s death, and beyond. It’s so important that appropriate support is available and accessible to help people cope with such a complex and emotional experience and that is why we’ve partnered with Cruse to deliver the Bereaved by dementia project; to raise awareness and train staff in how to address the issues faced by people affected by dementia during such a difficult time.” The project’s focus will be on increasing and improving access to bereavement support from Cruse; jointly raising awareness of bereavement when the person had dementia and the impact of this kind of grief. It also looks at developing awareness raising training sessions and information specifically for a person bereaved by a loved one with dementia and those with dementia being bereaved.